This amazing tiny house may look like a dollhouse, but it's no toy! It's a fully featured tiny home on wheels that even has a walk in wardrobe. 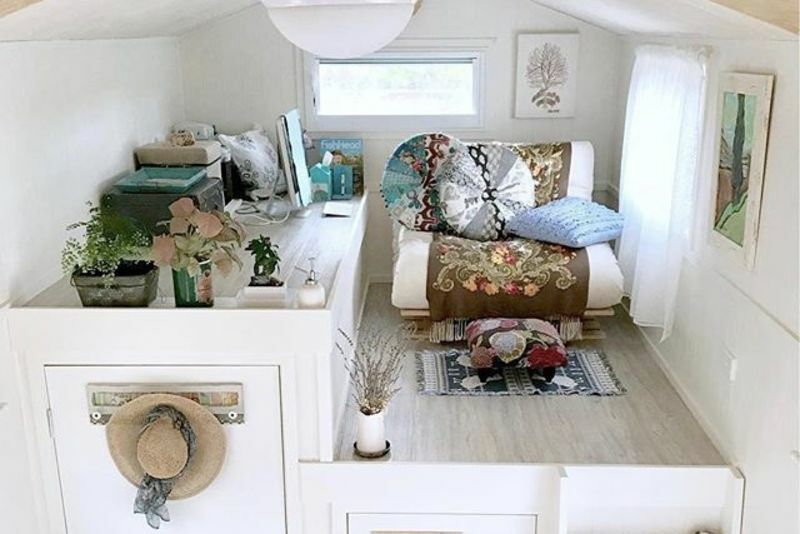 Dolly’s tiny house on wheels is the perfect example of what can happen when you specifically design a home to your needs. She has really taken advantage of her height and designed a home where she can stand in her loft and create an additional room downstairs which gives her plenty of space for a walk-in wardrobe, a truly tiny house luxury! Everywhere you look her home is customised to her unique style. It’s colourful, vibrant and fun while still being a very well designed and comfortable home. Stepping inside Dolly’s home feels uplifting, from the wonderful colours, the beautiful plants and decorations and the brownies baking in the oven, everything about this house just felt like home.